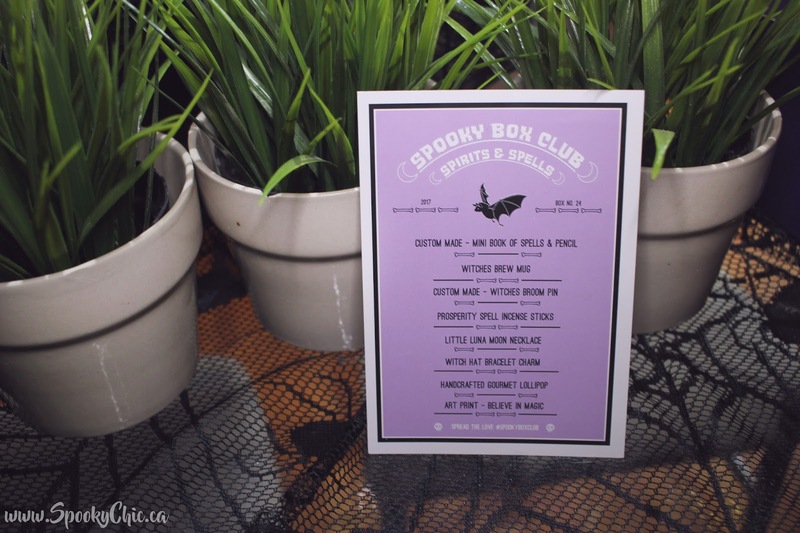 It's time for another Spooky Box Club unboxing, but sadly this will be my last for awhile as I chose to unsubscribe while I was moving and settling in. 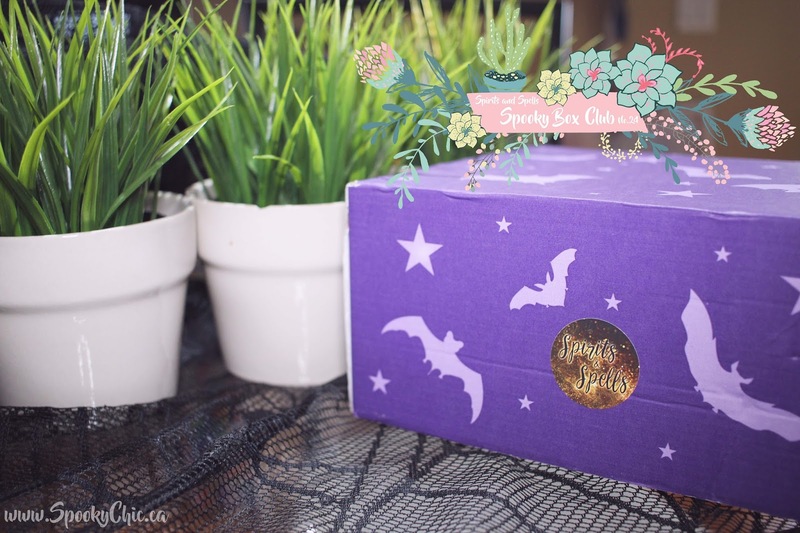 I am actually so sad to be missing out on all the boxes to come but fear not, I will resubscribe in the coming months! 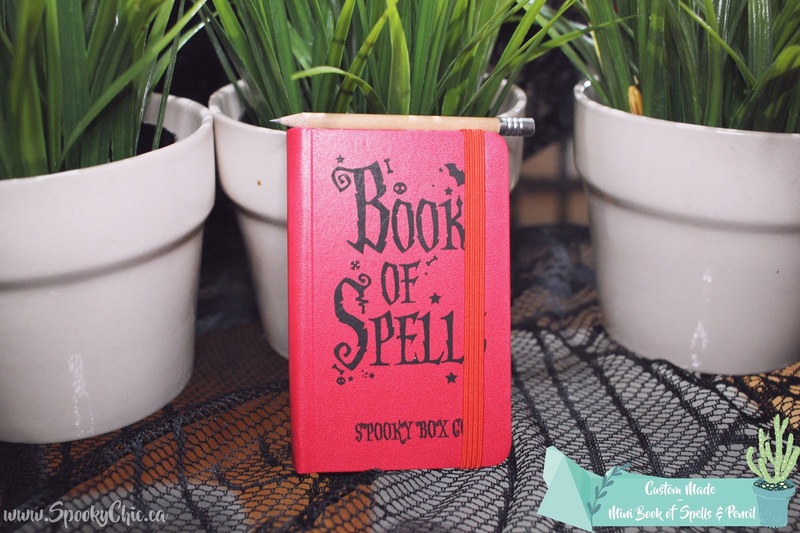 First up we have this absolutely adorable Book Of Spells which is a pocket sized notebook with a tiny pencil to go with it. The pencil sits in the nook of the spine and I love that they've included it because it's so great to not have to search for a writing utensil when quickly jotting down a few thoughts. 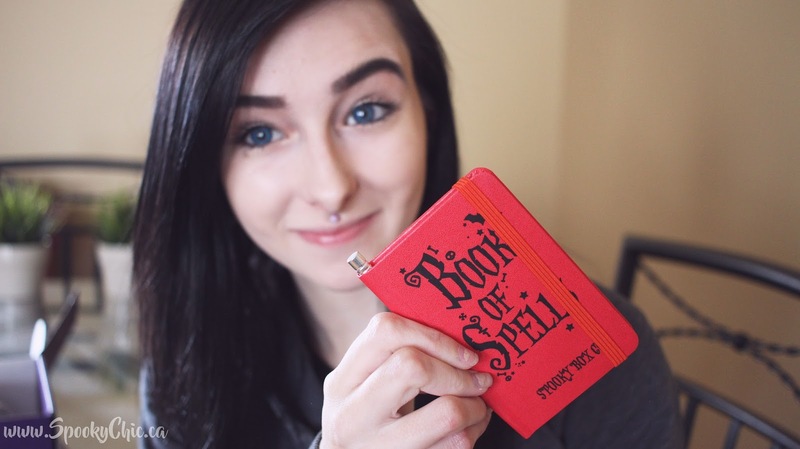 Here's a picture below of me holding it for size reference! 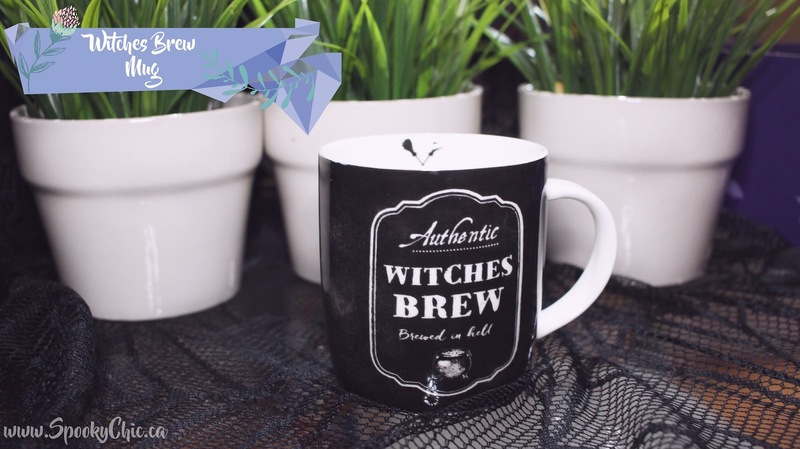 Next up is probably my most favourite item from this box and that's the Authentic Witches Brew Mug. 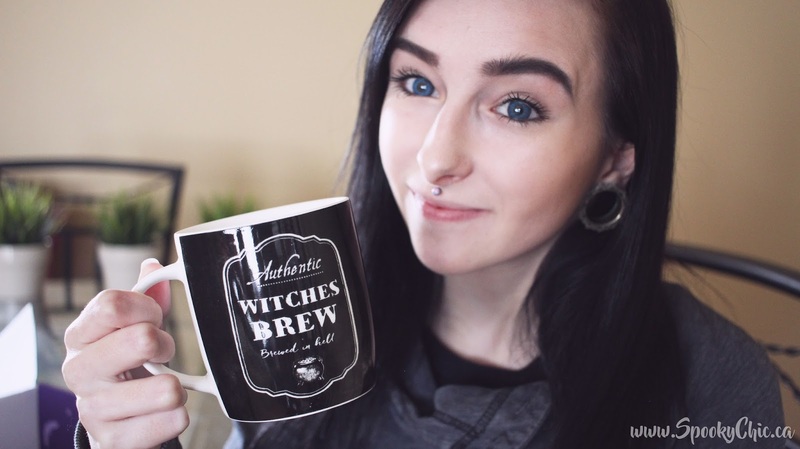 I am a huge fan of cute and spooky mugs so this was perfect to add to my collection, I should really show you all someday! It holds 8+ oz. nicely and is a cute slightly rounded shape that fits nicely in your hands. And to make it even better it's dishwasher and microwavable! 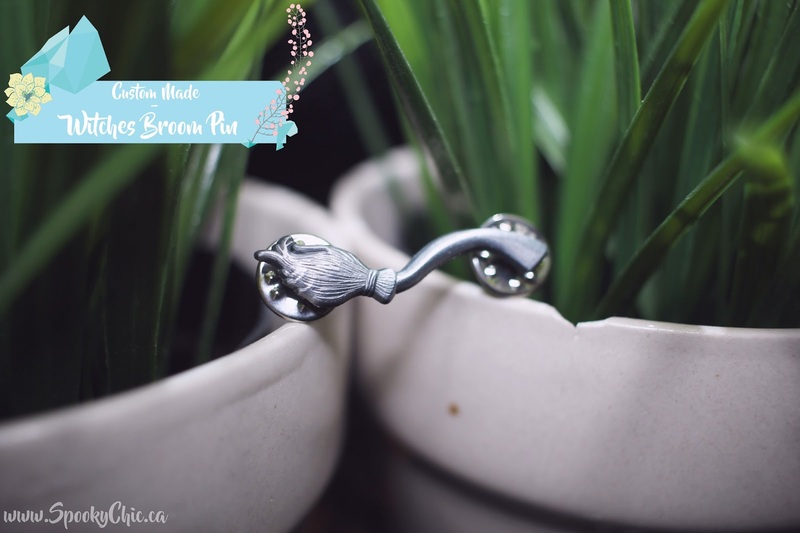 This is the Witches Broom Pin which I have to say looks so perfectly simple and elegant. It's such a nice pop of silver and the details are really nice. This will definitely be going on a pocket flap on one of my jackets. 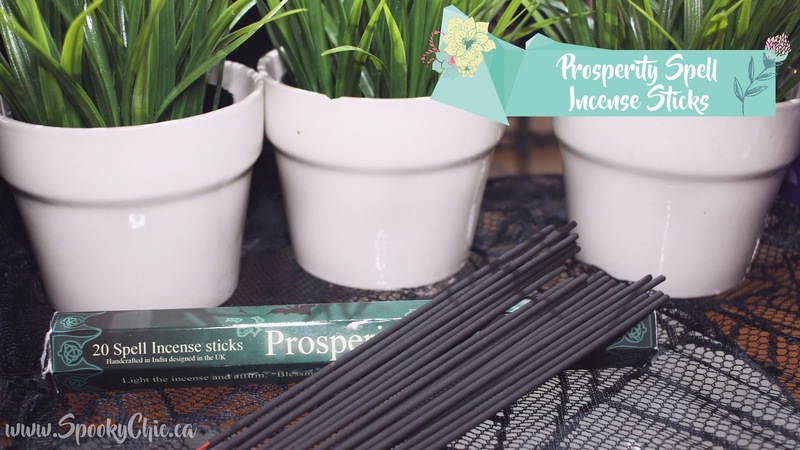 These are the Spell Incense Sticks in the scent Prosperity. I thought this was such a nice touch and they smell phenomenal. I'll just be using them as regular incense sticks as I'm not really too knowledgable on spell stuff. 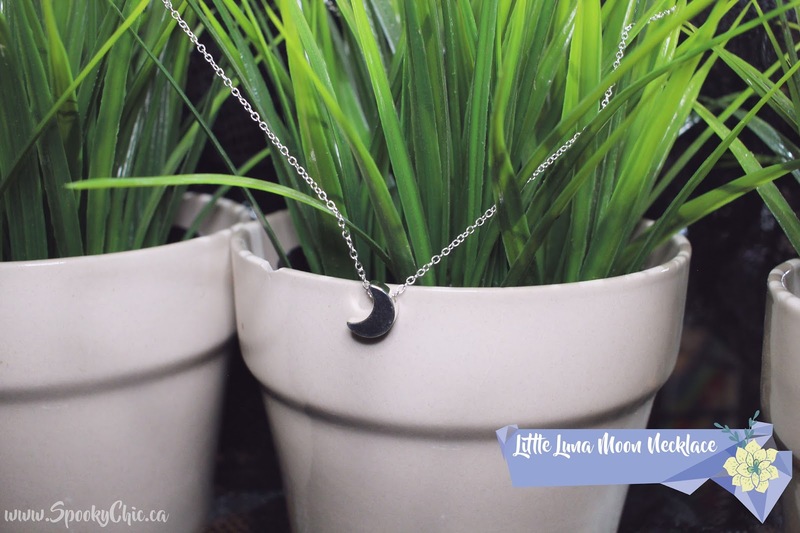 When I saw this Little Luna Moon Necklace I was so excited. It's the perfect size and thickness of moon that it looks like great quality and the chain length makes it just right to be paired with a velvet choker. 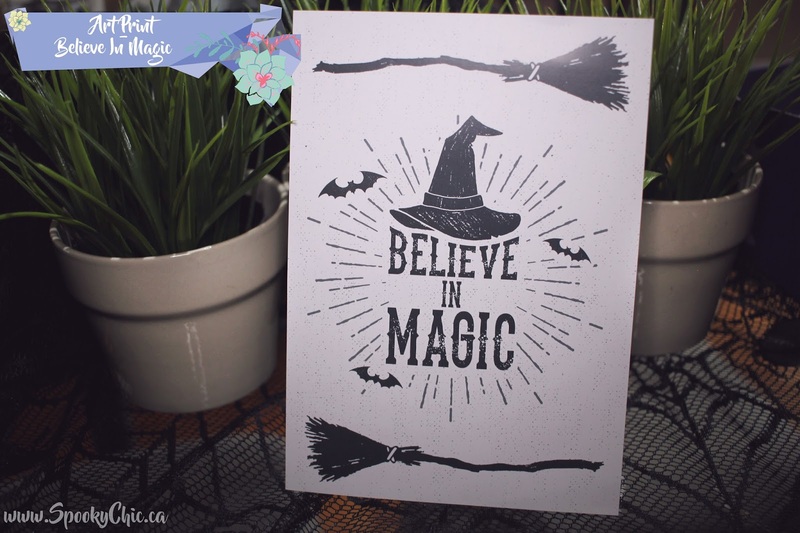 Here we have the Believe In Magic Art Print and I am so excited to have yet another Spooky Box Club print to put up on my wall, they're always so bang on. I love the witchy vibes plus if you don't know, I'm obsessed with bats so that's a great bonus. I think I'm going to hang this one up in my office as a great addition to a gallery wall. In each box they include a little list of all the items which is great, and I never look at them until after I've unboxed the entire thing because I'd hate to ruin the whole surprise of the box! 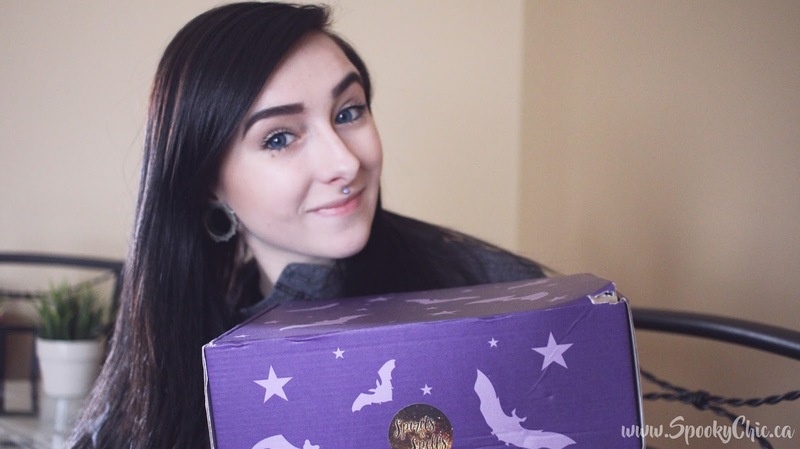 Let me know what your favourite item from the box was! PS. I've started editing my photos differently, let me know if you like the labels on the photos or not!